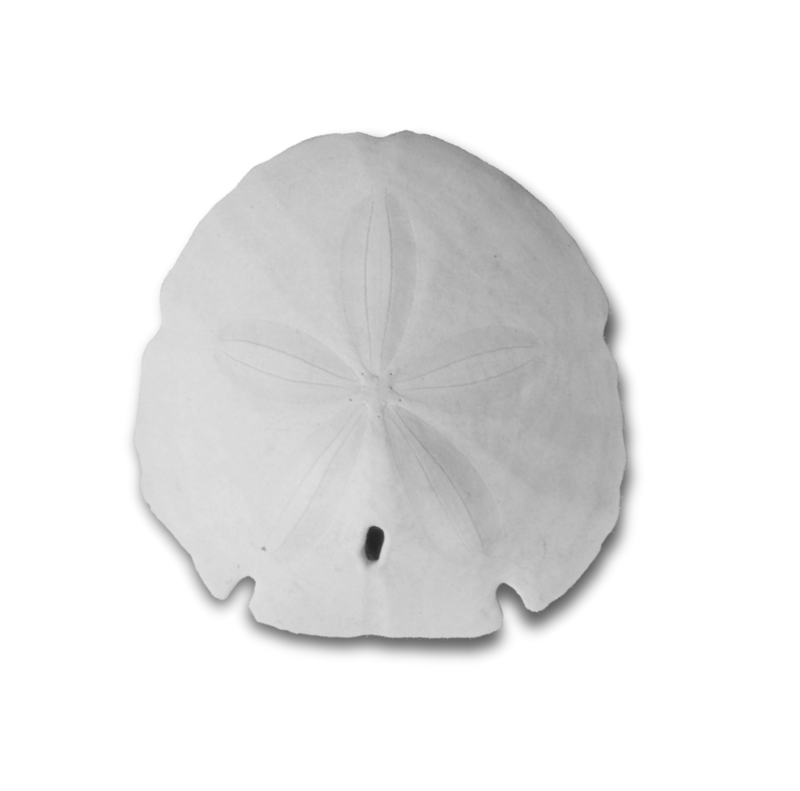 A sand dollar just waiting to be decorated. At Christmas time many families like to decorate their tree with some homemade ornaments. A coastal or southern lifestyle will usually include trips to the beach and all those seashells can be used as home decor as well as ornaments. Just use a little imagination and you can use your beach shells in crafts and activities for the kids. These days money seems to be tighter than ever, so giving homemade gifts at the holidays is a popular option. Get the kids away from the television and video games, with a table spread with paints, glitter, ribbons and glue, and a bunch of seashells. The white scallop shell, with it’s rippled flair can be an angels skirt. Sand dollars can be painted with a holiday scene, or sprinkled with glitter. The seashell named the “angel wing” can be used as such. Hit the local craft or dollar store to find Styrofoam balls and glue little shells all around the outside. This will keep the kids busy for a while! A starfish, or sea star, looks great tied with a bow or ribbon, or decorate one to represent each family member. Sometimes the shell, or sand dollar will have a natural hole in it to make hanging it easy, but if not, use strong glue to add a rope, ribbon, yarn or raffia. If you have a lot of starfish, they can be piled on top of each other to create an entire little tree replica and used as a centerpiece. Or glue various shells to a cone shape and add the starfish to the top, like in the picture at Zimbio. Seashell ornaments make nice gifts for teachers, neighbors or friends. And be sure to keep some to hang on your own Christmas tree. If you don’t know where to buy seashells, read my page about Where to Buy Seashells. If I only had the talent to write about all my days gathering sea shells, driftwood and all the other things that washed up on our beaches in Charleston S.C. I have found a real live bomb as well as a human skeleton dated back to the 17 century. The Skeleton is in the museum in Charleston. The bomb was taken out to sea and exploded. I had a business making Sea scape lamps ( A Slice of the Sea) for years, made jewelry, art pieces, nautical souvenirs, took many a picture, you name it I did it but was never good at the business end of it. I am now seventy three years old and am trying to get all my supplies together to try and sell my big collections of sea shells as well as craft supplies. It is a very large collection of supplies and I don’t where to start. I would love to do something like you are doing by teaching people what I know and donate to our no kill animal shelter here in Charleston as I foster animals to help out any way. Love your site keep up the good work. Hi Libby, so glad you visited my site. It seems you do have talent, along with some awesome stories to tell. A bomb? Wow… and a skeleton, what a shocking find! If you want to try to sell your collection online, I can give you a little advice. I would look into Etsy and set up a store there. I believe it costs money these days to do so, with a monthly fee. Amazon also offers regular people, like you and me, the option to sell on their site. I don’t know much about it. Before paying to start a store online, I would begin a blog first. Why? Because you need to get the word out about your niche, which is seashells, and craft supplies. WordPress has free blogs and if I were you I would begin writing on one. Believe me, you don’t have to be a “writer” to do so. There are many awful blogs out there and my early posts were pretty awful too. It took practice and patience. I suggest a blog because the most difficult thing about selling online is the promotion part of it. Getting people to find you in the vast sea of online marketing. With a regularly updated blog – write often – you can gain a following and THEN start that store so you can link to it when you blog. That will help drive traffic. Of course you will have to add pictures to your Etsy store, and then ship out the products. It won’t be easy, but if you are motivated, it could work. On the other hand, just writing a blog may be enough to find people interested in buying what you have. You can’t “sell” using a free WP blog, but it could work out if the right person, or people read it and then contact you. Just some ideas. When I began writing online I found WordPress to be quite easy to figure out, and I knew NOTHING. Best of luck. I’m happy to answer your questions if I can. Thank you so much for sharing! It’s nice to be reminded that Christmas gift giving is just around the corner. I’d better get going soon with some of these great (and easy) ideas! Hi Jody, and will you blog about them with pictures? If so, I’d like to know so I can re-blog here. If that is okay with you.